Hello! 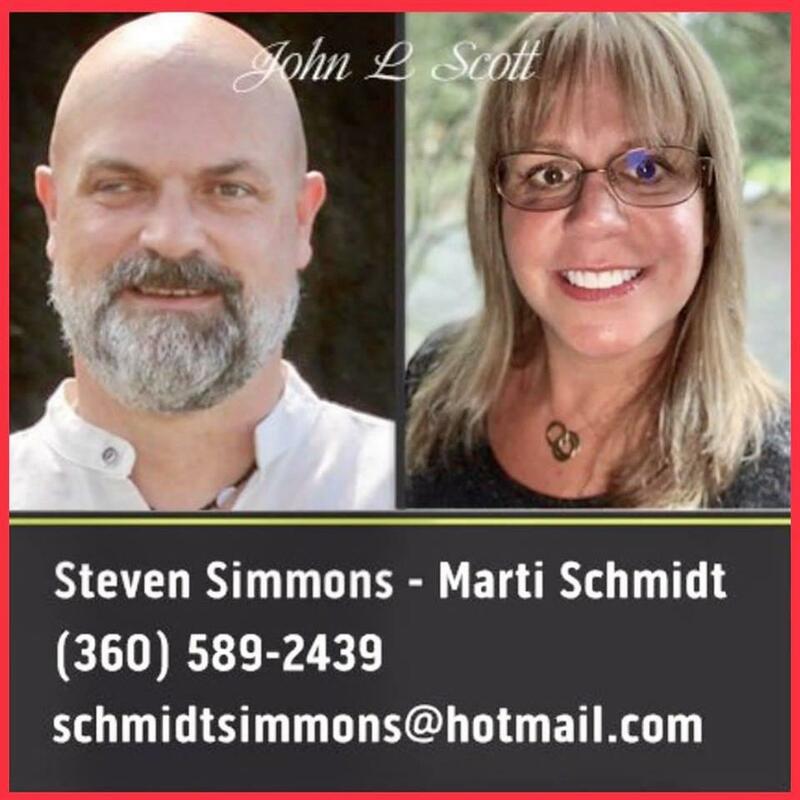 We are Steven Simmons and Marti Schmidt, your team of multi award-winning Ocean Shores real estate brokers. Ocean Shores residents and Realtors for the past 15 years. We have devoted our time to becoming home and land experts and valuable contributing members of our beloved community. We strive to leave the world a better place for all the children of tomorrow. As seasoned real estate investors, we understand the needs of a buyer and seller. We care about your investment and bring the highest level of skill to the table for our clients. Partner with us to make your vision of buying or selling on the Washington state coast a reality! 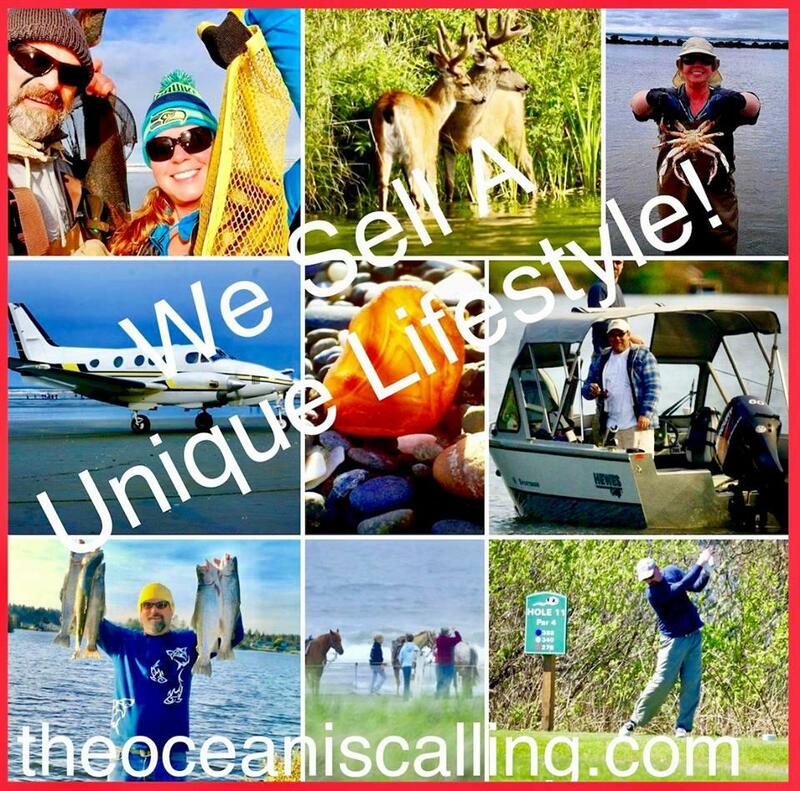 Contact us today (360) 589-2439 schmidtsimmons@theoceaniscalling.com. Welcome to our beautiful seaside city! Ocean Shores is a 6x2 mile peninsula in Southwestern Washington state USA and is a recreational paradise for the outdoor enthusiast offering beautiful scenery and countless amenities! We boast an 18-hole championship Golf Course, small craft Airport, Community Club, 15 parks with 2 outdoor swimming pools and boat launches, Lakefront park with nature trails winding throughout a hundred-acre forest, 5-mile freshwater Lake with 23 miles of interconnecting Canals on which to boat, ski or fish and a smaller Lake surrounded by a walking path. In addition, we have numerous shops, galleries, and our own Community Club. This club offers a wide variety of activities, including several pools and exercise facilities. It currently costs approx $150.00 per year. Ocean Shores offers View, Golf Course, Ocean, Jetty, Bay, Lake and Canal front homes and camping/building lots. With the Ocean being our main attraction, our beach is a state highway on which you may drive! We also have several public access approaches if you enjoy walking along the coast.